I have always been amazed how some readers and bloggers rush into doing something only because someone of the “big shot” bloggers has told them so. Reading blogs and commenting as tactics for something makes no exception. It’s time you paused and thought about yourself, what you do and most importantly – why you do it. I bet you’ve been overwhelmed at some point by the number of blogs you tried to read and comment on regular basis. Not me, not any more anyway. It’s a common practice for bloggers to network and leave comments to one another. Some do it because they have something to say and others do it only for the sake of the comment and/or the link back to their blog. Right about now you are probably wondering – why am I telling you this? Why do you care? It seems to me everybody has a blog these days. But beware! Finding a blog is not a good reason for you to start reading it on regular basis. Somebody asking you to have a look at their blog is not a good reason for you to do so either. Not all blogs are created equal and not all blogs are worth reading. I used to read a lot of blogs back in 2009 when I was starting as a freelancer (I had plenty of spare time on my hands then!). And since then, I was only adding to the list of blogs I should read, although time became a scarce resource. I struggled for a while being overwhelmed with all the content I get via email and in my blog reader every single day but I solved that problem! 18. Limit your daily information input. Regularly unsubscribe to blogs, podcasts, forums and email newsletters that you rarely spend any time on or that doesn’t add much value to your life anymore. Keep only the most helpful, inspiring and best ones. This very simple thing can free up quite a bit of both time and attention in a month. I was like a hoarder when it comes to reading blogs! I was afraid I would miss something, can you imagine? Henrik’s tip was very simple indeed and it really freed a lot of time. I removed almost all of my email subscriptions and those blogs which I still found interesting – I added to my blog reader for when I have time to read. Also, beware that not everyone likes the same blogs. Your favorite blogger may be the worst blogger ever for your neighbor or best friend. Don’t just rush into reading everything and following everyone just because someone has said you should do so. But I don’t think you should be reading blogs hoping to get blog post ideas. I believe it works the other way around – when you read blogs which you like, ideas come to you because the content you read gives you food for thought and is interesting to you. You can’t force inspiration with mediocre content. It’s similar with blog commenting – don’t do it for the sake of leaving a comment. No wonder a lot of blogs recently started closing their commenting sections altogether. In the context of recent Google manual spam penalties, maybe it’s not a bad idea. But then again, if you are careful what comments you approve and what links you allow readers to have – you’re good. a waste of that blogger readers’ time – because each comment you leave is a part of the overall discussion and all other readers, who do have something to say, will take the time to read all existing comments on the blog post, including yours. Bottom line – reading blogs and commenting should be done in moderation and only when all parties benefit from it. 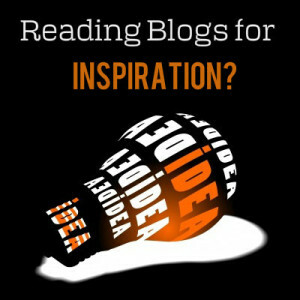 Reading blogs can give you ideas and might improve your writing style. But reading a lot of blogs doesn’t really guarantee either of those. 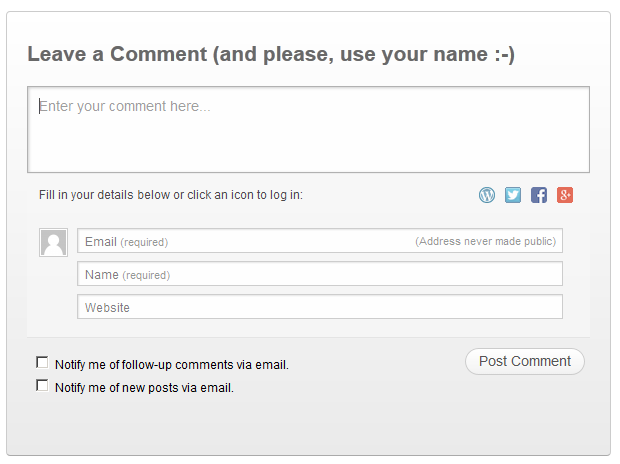 Commenting on blogs can give you a link back but this sure isn’t a good reason for you to comment. Always comment with the blogger and their readers in mind – results would be better for you, I promise. Reading blogs and commenting is not a numbers game – never was, never will be. As most things, quality is way more important than quantity. If you have the time and want, tell me in the comments – how much blog reading and commenting you do and why? Indeed Diana. I have less and less time for this these days. There are only a few blogs that I regularly seek out and read. And even some that have inspired me in the past, are boring me now. Perhaps I know too much now, and just see too much content being recycled. I hate doing it myself, but sometimes write a dead topic post because I need the keywords for my site. Shame, but a necessity for a new business. In the end, it is one of the reasons I do my podcast. I find them great for getting ideas (for me and the listener) meeting people and a host of other things I will save you reading about. But I also listen to loads of them, because amongst the 30min+ of time I get two or three ideas, I have never read anywhere. It is far easier to talk than write. And listen, than read. Or so I find. And commenting is the same. I still comment too much, to keep some reciprocal commenters happy. But my commenting is lessening. It is just not time efficient. And ROI is small. I have way too many other things I need to be doing to survive and build my business. Anyway, speaking of which, better get back to work! Hah, right, i said the best blogger for you can be the worst blogger to follow for your neighbor – but it totally is true that the blogs you once found interesting may become not so interesting at some point as you grow… Thanks for the addition. As for your podcasts – you remind me of something else – you say you prefer to talk than write, and to listen rather than read – i am to the contrary. 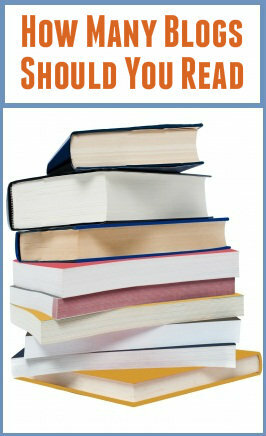 I prefer reading because i can see at a glance what section is for what, and read selectively if need be. When there’s a podcast, i often skip it simply because i have no control over picking the parts i want to listen to (as i often don’t know what it contains and u don;t think i have ever seen a podcast with table of contents”). this is exactly the type of preference i speak in my post about – that we shouldn’t blindly trust other people recommendations but think about what we want and prefer first. The time factor, coupled with my ongoing health problems, has also prompted me to be pickier about what blogs I read and when I leave comments. Plus, each time I leave a comment somewhere, a few emails go along with it, which takes more time away from other things. As I am trying to get my emails down to a manageable number, this has become a pet peeve of mine. Call me persnickety, call me selfish, or call me something else. I don’t care anymore! I will continue to read blogs I find useful, educational, or entertaining, and if I have something to say, I will say it. I DO think some comments add value, and I don’t care about what Google says/wants/needs. Engagement is key, and no computer program can engage like a human, regardless of all the advances we have made. Thanks for stopping by, Lorraine! I am glad you have found the balance for yourself when it comes to reading and commenting 😉 Thinking more about yourself is not a bad thing in this context and quality sure counts way more than quantity. I agree engagement is paramount fr any blogger – and adding value through your comments makes engagement possible. I love commenting, but I keep it to a manageable time limit. I’m not one to feel a blogger should only comment in their niche either. It’s like anything else in life: Don’t do it if you don’t enjoy it 🙂 I’m aiming to get a keyboard for my iPad so I can make more blog comments at night when I’m in the living room watching TV and the like. In general, it goes without saying I will stop commenting on someone’s blog if they never comment back on mine. Some people are in it for the traffic, whereas some of us relish the community-building aspect of it. I’ve made a lot of great contacts via commenting such as yourself. I am surprised though you’d stop commenting on someone’s blog if they didn’t comment on yours. I have plenty of blogs which i read but don’t comment on for some reason – this gotta count for something, don’t you think? I have mixed feelings about all the discussion around commenting. I follow a few blogs, as we all do. Some of these blogs are extraordinarily successful and have been doing this blogging thing a very long time and I marvel at the number of their comments, some number over thousand or more regardless of the subject. When asked privately about their thoughts about commenting, they ALL say commenting/reciprocation in the early years is vital and invaluable. When, where, why and how to comment is an art. For me, I do believe I’m still learning what is best. Just my thoughts. Right, commenting is really vital for one’s blog success – both getting comments and leaving comments. Because getting comments shows your readers there’s a community, not just a one-man preaching platform; and leaving comments puts you in front of the eyes of others; it helps you network. But then again – if you comment only for the sake of commenting and don’t add value through your comments, it won’t be a successful tactic for growing your blog, i promise you that. Well to be honest I first started commenting only for the sake of backlinks but later I learned that its waste of time as it would sometimes annoy bloggers or sometimes they get spammed. So I limited commenting and doing on few blogs to learn new things and also share views on the specific posts. Thanks for your comment, Samir – exactly my point! 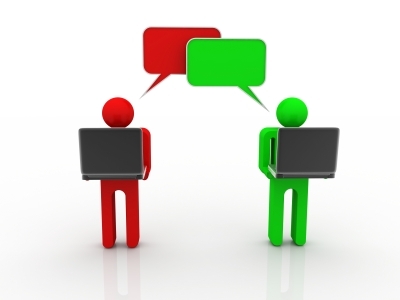 Comment for the sake of commenting and backlinking – you will get in the spam folder of many. Comment because you want to network and add value to the blogosphere – you will meet a lot of like-minded people who will help you grow along the way. There are times when commenting feels like a chore and there are others when I don’t have the time to comment and I feel like I’m being punished because I can’t. My feelings on commenting have more to do with how busy I am than anything else. When someone is starting out or they don’t get many comments, I may comment to encourage them because I know how important it was to me when I started. There are other blogs that no matter how often the blogger posts or how many comments they receive, I want to go and see what they have to say. What I have learned to do is be patient with myself. If I don’t have time to comment, then I don’t and when I do have time I play catch up if it’s someone I enjoy reading. I definitely step outside of my particular area, but then, who is one dimensional? I may not write about wine, but I enjoy it, so I comment on it. Posting comments on blogs seems to be a hot topic. I comment on blogs where I feel I’m learning something or that I simply enjoy reading, even if they are not in my niche. I also think it gives a blog credibility when a new visitor sees that people are commenting — they must think the content is worth while. I don’t comment on poorly written posts or where I don’t have anything to add.